We love selling Calgary homes, and we’re here to help you through every step of the process. Our marketing plan will ensure your listing is viewed by thousands of buyers motivated to purchase the local real estate. The first thing we’ll do for you is put together a custom marketing plan that lists your property at an effective price. A well-priced listing often causes competing offers to drive up the final sale price. By determining the most actively searched home values in your Calgary neighbourhood, we are then able to recommend a price that will sell well. We’ll also take into consideration expired listings, real estate still on the market, and properties that have recently sold. We know the aspects of a home that sell. We will help you develop a listing that highlights all of the best features of your new home. 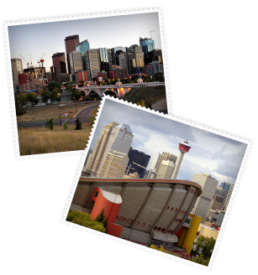 We’ll then place your home on the Calgary MLS, new listings sheets, in local publications, and directly in front of buyers who are looking for similar properties. We have a nation-wide network of contacts and buyers who will also be able to access and consider your listing. We’ll also use the Internet and this state-of-the-art real estate website to make sure your listings reach maximum visibility. More than 80% of people looking for homes check the web first, and we’ll help them find your listing with ease. We list your home at no additional cost. Once the offers start coming in, we’ll represent you throughout the negotiation process to make sure you settle on the best price, with positive closing terms that are explained. Best of all, we take care of all the paperwork, so that you can focus your energy on other endeavours. Our priority is selling your Calgary home for the price you deserve. If you’re interested in selling your home and want to talk about what we can do for you, please contact us anytime.